Spelling. Are you looking for Amorina, Corina, Dorina, Porina, Sorina, or Zorina? What does Morina mean as a name of something? Morina is a genus of Caprifoliaceae. Morina is a genus of Uropeltidae, described by Gray in 1858. Morina is a genus of Lepidoptera, described by Grossbeck in 1912. Morina is a genus of Calliphoridae, described by Gimmerthal in 1842. Morina is a kind of Caprifoliaceae, described by L. in 1753. Morina a.k.a. Mořina is a municipality and village in Beroun District in the Central Bohemian Region of the Czech Republic. Morina is a fictional character from Doraemon: The New Record of Nobita: Spaceblazer. View more phrases with the word Morina in thesaurus! Christina Morina is a lecturer at the University of Jena, Germany. Vlora Morina is an Albanian from Kosovo and a British citizen. in Kenya: olkitolosua in Tanzania: mdaula, msegeshe, mshegeshe, olkitolua Morina L. Caprifoliaceae (Dipsacales, Morinaceae) After the French physician Louis Morin, 1636–1715, botanist, author of Quaestio medica, C. Guerin Praes. Monarda, Lion's Tail Monsonia Monsonia Morata Moraea Morina Morina Morus Mulberry Tree Musa Banana Tree Murica Candleberry Myrtle Myrsine African Myrsine Myrtus Common Myrtle Napaea Napaea Narcissus Common Daffodil, &c.
Morina Ricablanca teaches bioenergy and other subjects to special needs students at East Hoke Middle School in North Carolina. Image courtesy of Morina Ricablanca. 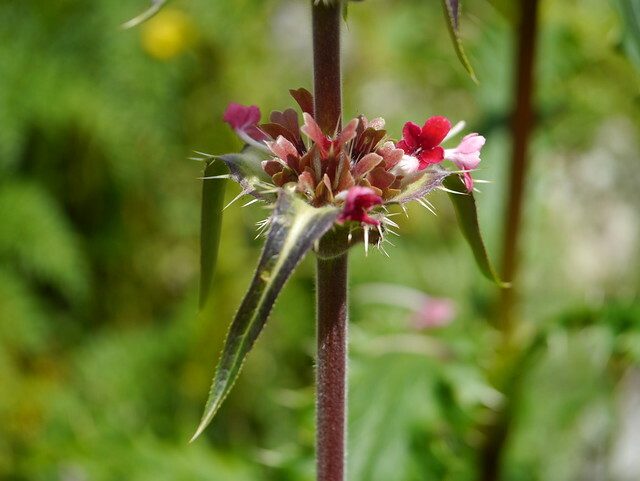 View more pictures about Morina persica and Morina longifolia. See also the blanagrams of Morina! Go to the usage examples of Morina to see it in context!